Lifschutz Davidson Sandilands has won the RIBA Competition for the selection of a design team to work on the Station Approach area of Winchester. 30th of August 2017 – There is considerable potential to improve the Station Approach area within Winchester and its’ role as a gateway to the cathedral city and the South Downs National Park beyond for visitors, residents, commuters and students. The Council owns two sites within the Station Approach area, namely the site known as the Carfax site and the site known as the Cattlemarket site. Following an EU compliant procurement process the Council intends to directly commission the selected design team to work with the Council as client and with other stakeholders in the city to formulate designs for mixed use developments on these sites together with a public realm strategy which can be implemented as development proposals come forward to demonstrate how improvements to the public realm can improve accessibility and the liveability in this part of the city. Lifschutz Davidson Sandilands were selected from a strong shortlist for their excellent team, compelling vision and clear understanding regarding the needs for this project and the wider Winchester issues. Roger Hawkins, Hawkins\Brown and RIBA Adviser said: “The Carfax and Cattlemarket sites in Winchester offer tremendous potential to improve public space around the Station and to provide mixed use development that includes commercial office accommodation currently lacking. 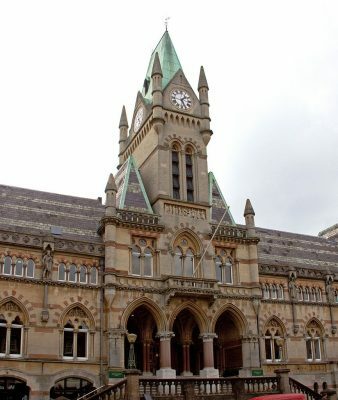 By running a selection process through the RIBA, Winchester City Council were able to focus their aspirations for high quality architecture that puts placemaking at the heart of any emerging strategy. 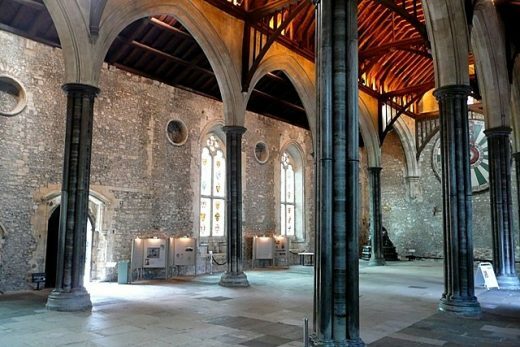 Lifschutz Davidson Sandilands will now work closely with Winchester City Council over the coming months to commence the design strategy for the site. 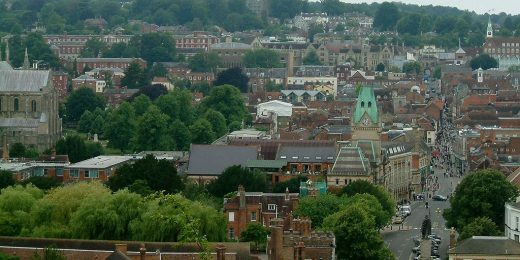 30 March 2017 – The Royal Institute of British Architects (RIBA) and Winchester City Council have today announced the launch of a process to identify a design team for the Station Approach area of Winchester. Winchester has a shortfall in modern Grade A commercial office premises which represents a constraint on its development of a competitive employment-based economy. The Council’s brief for this project starts from its view that this shortfall needs to be addressed for the long term benefit of the city. Winchester City Council own two sites within the Station Approach area which they have identified as potential locations for development – the Carfax site and the Cattlemarket site. The Council intends to commission a design team to work with the Council as client, and with other stakeholders, to demonstrate how these sites can accommodate development. The design team will be selected via a restricted EU procedure including an interview with an Evaluation Board and Advisory Panel. It is intended to select a shortlist of five teams following evaluation of an initial selection questionnaire. No design work will be required from shortlisted teams however a contribution to costs of £3,000+VAT per shortlisted team attending the interview will be provided. The Evaluation Board includes Roger Hawkins of Hawkins Brown and Sarah Williams of SWilliams Architects as RIBA Advisers. Sarah Williams, RIBA Adviser said: “I’m delighted to be advising on the RIBA Competitions-led process for this exciting city centre project in the heart of Winchester. The City Council is determined to create a high quality scheme within an improved public realm and I look forward to helping them achieve this”. The closing date for Standard Selection Questionnaire applications is 12:00 midday on Tuesday 2 May 2017.